Just a quick little note, before I dive back into my day of trying to run a pile of errands, while still avoiding the crowds of New Yorkers rushing off the island for the holiday. 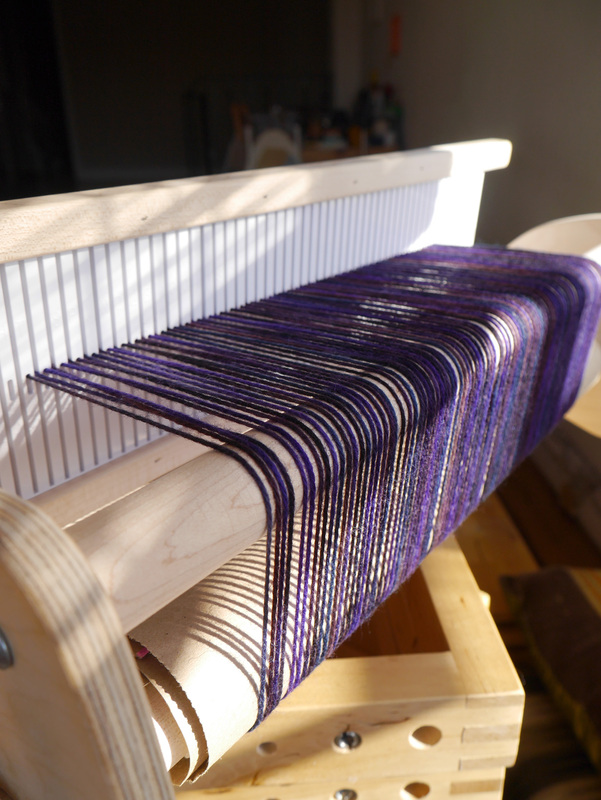 I warped the loom last Thursday, and have been spending a few minutes here, and a few minutes there working on the fabric itself. 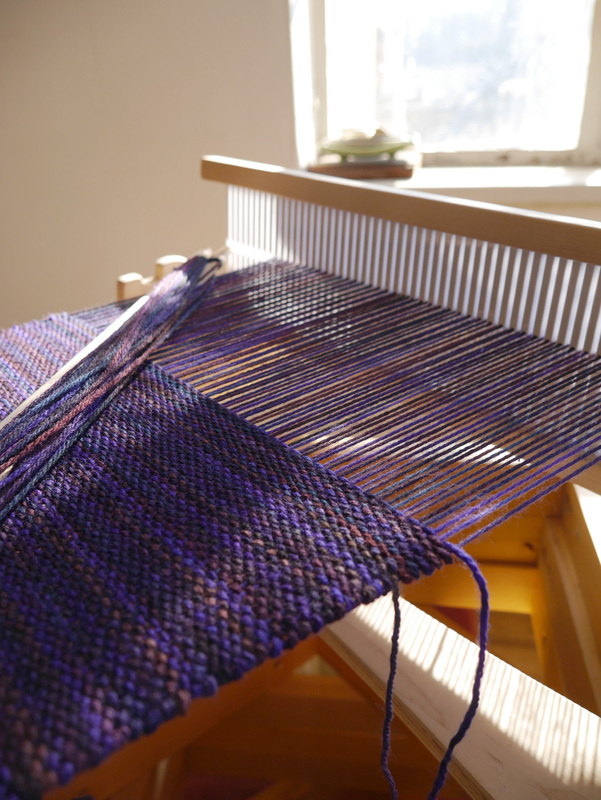 It’s another plain weave fabric – playing around with colors. 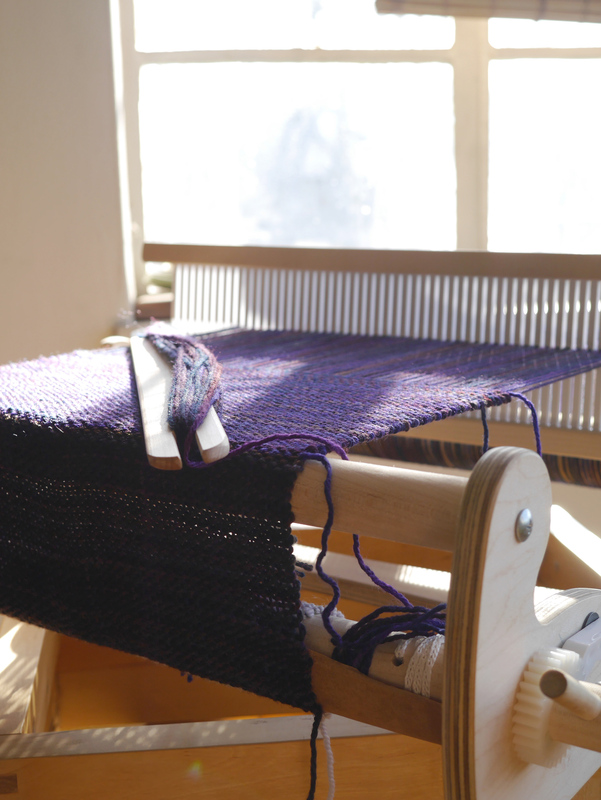 Tonight, I’m looking forward to a solid evening of weaving, before kicking off a weekend full of travel, and family, and food. If you’re doing Thanksgiving tomorrow – gobble, gobble, Happy Thanksgiving! If you’re not – have a brilliant Thursday and a wonderful weekend!